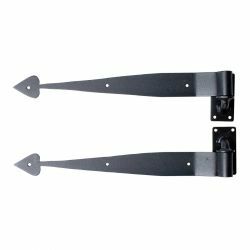 This pair of Wrought Iron Door Spear Strap Hinges Flush Mount will add some authentic Colonial or Country charm to your doors or a gate. 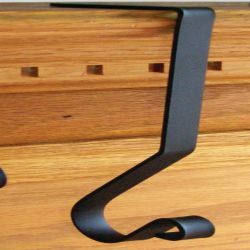 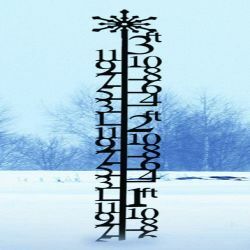 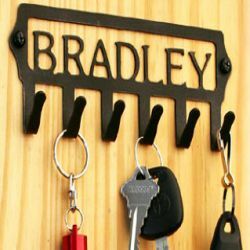 They are made of a very durable wrought iron stock, and can also be used on your kitchen and bathroom cabinetry...or you can easily add some antique style to an older piece of furniture. 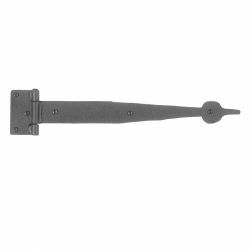 We apply a black protective coating to protect your hinges against the elements, to make them last for many years of use. 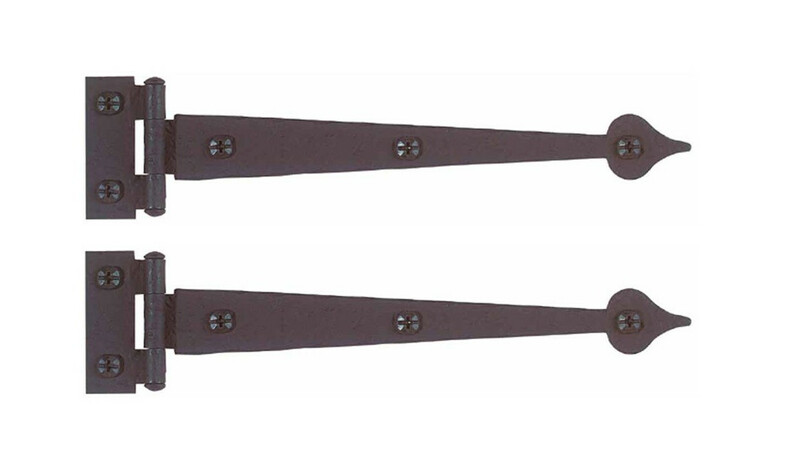 This pair of hinges each measure 7-3/4 inches in width, (overall, together with the barrel), and they are also 1-3/4 inches in height, (when measured together with the mounting plate). 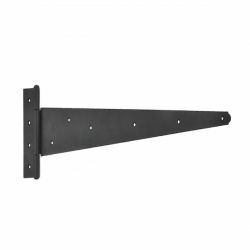 (See more dimensions listed in our 'Measurement Table below). 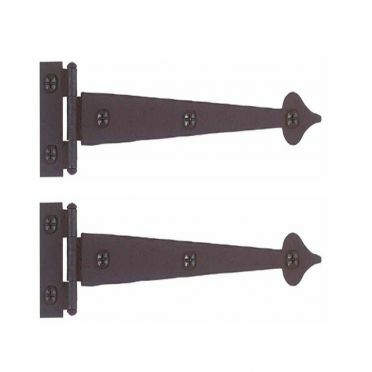 These hinges are sold as a pair, and comes complete with all the necessary mounting hardware.